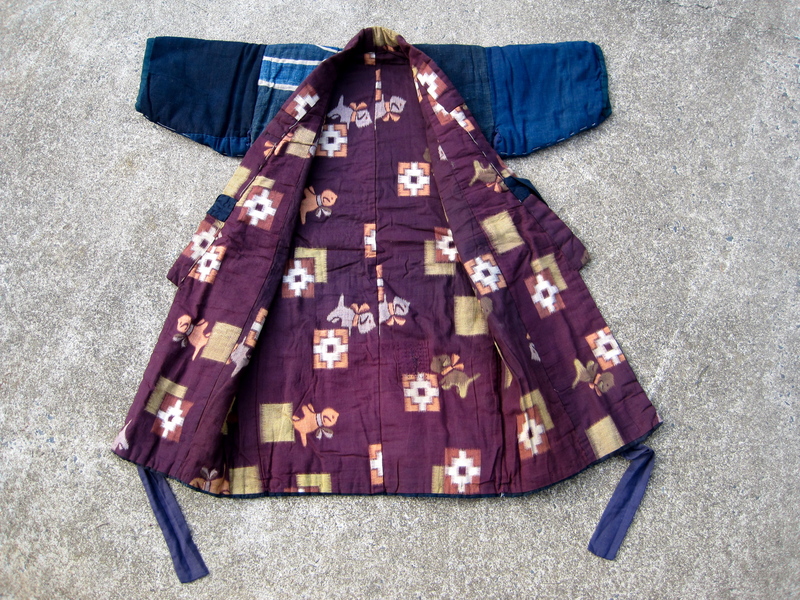 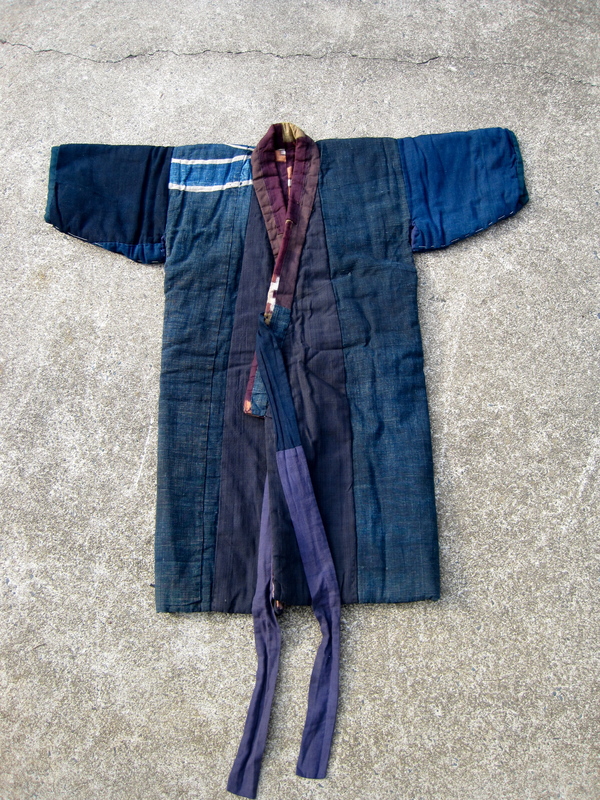 This small kimono for a baby was made out of old material called boro or “rags” pieced together to make usable fabric. 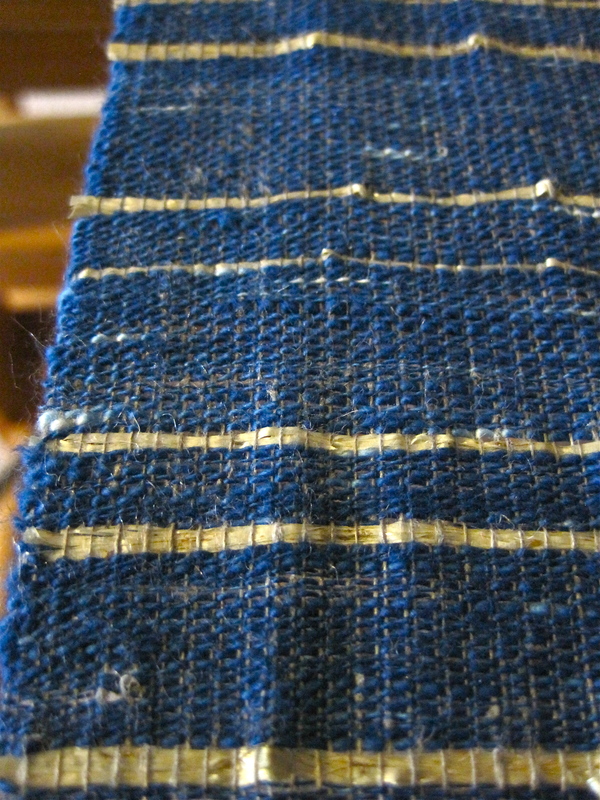 The boro material was intended to be the liner but, I have decided to show it off as the shell. 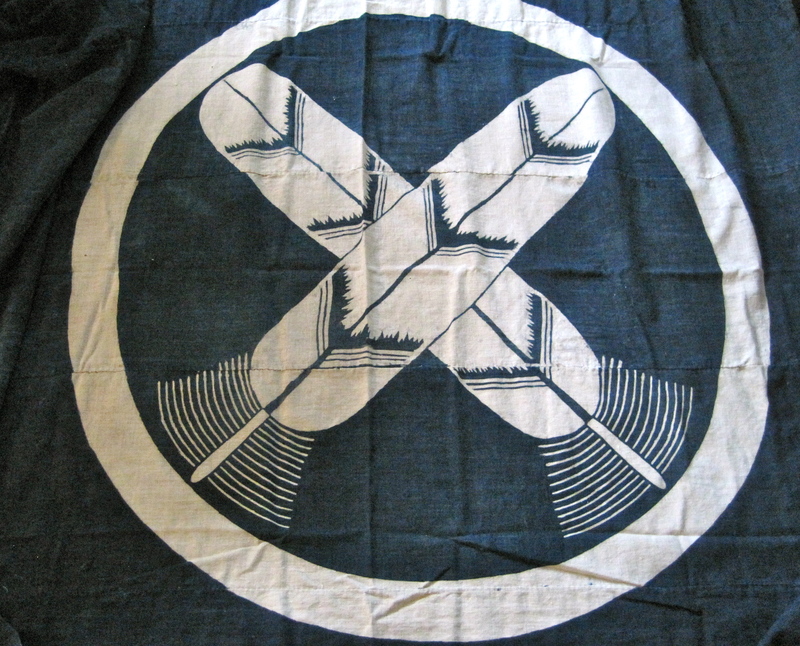 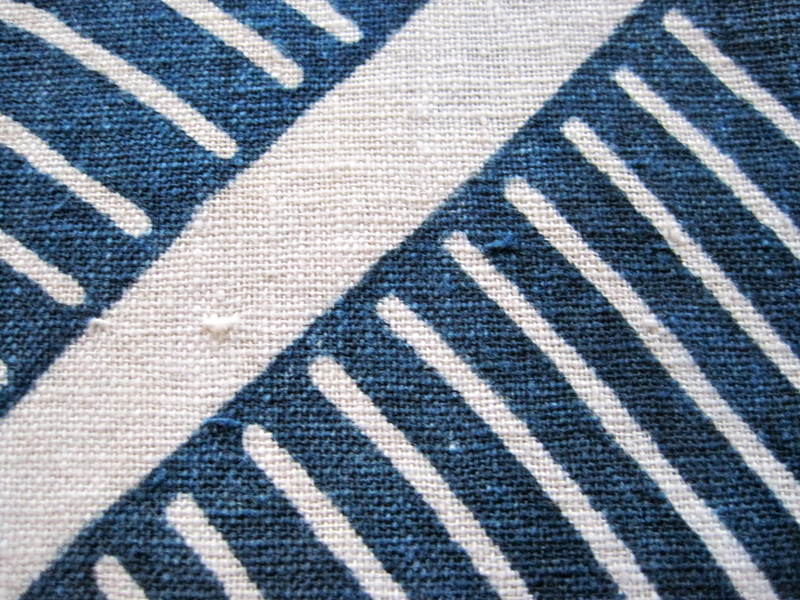 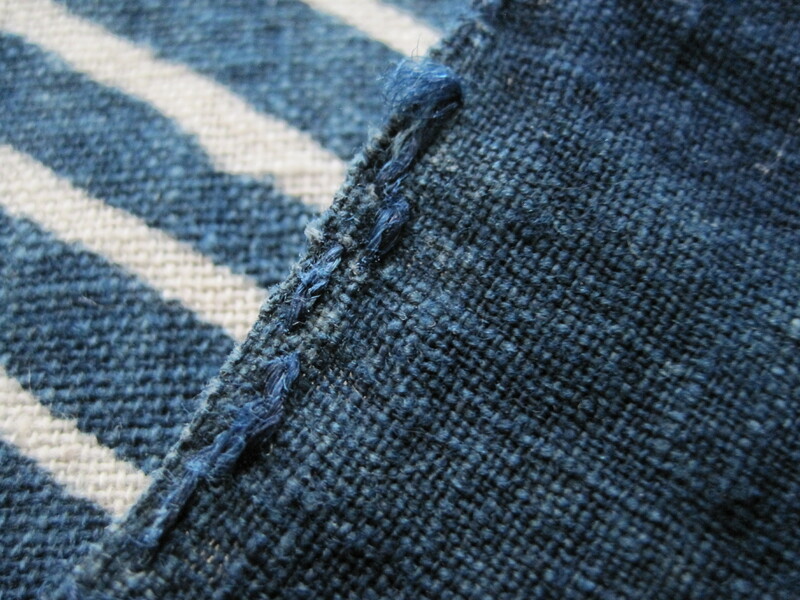 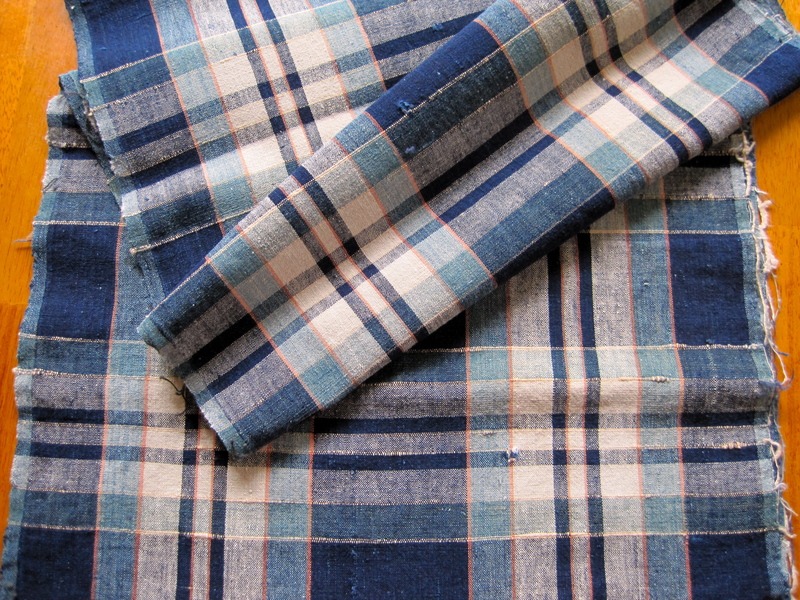 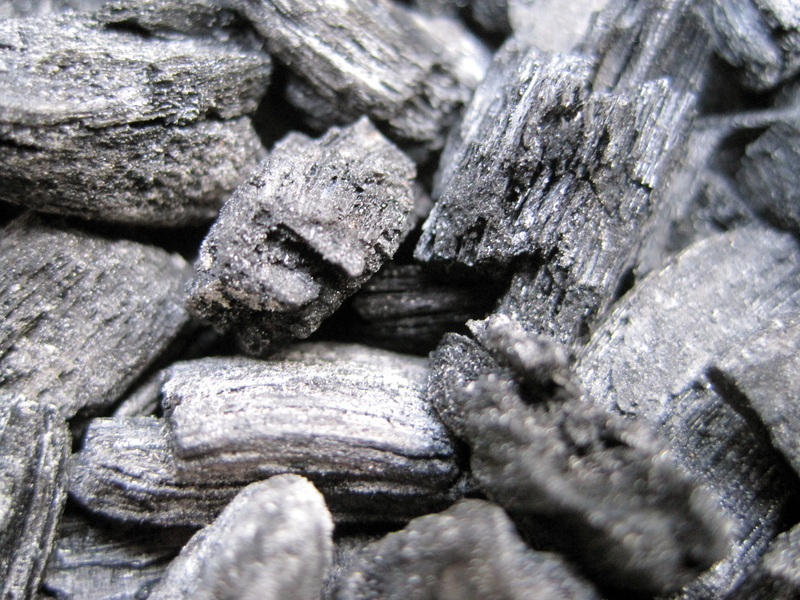 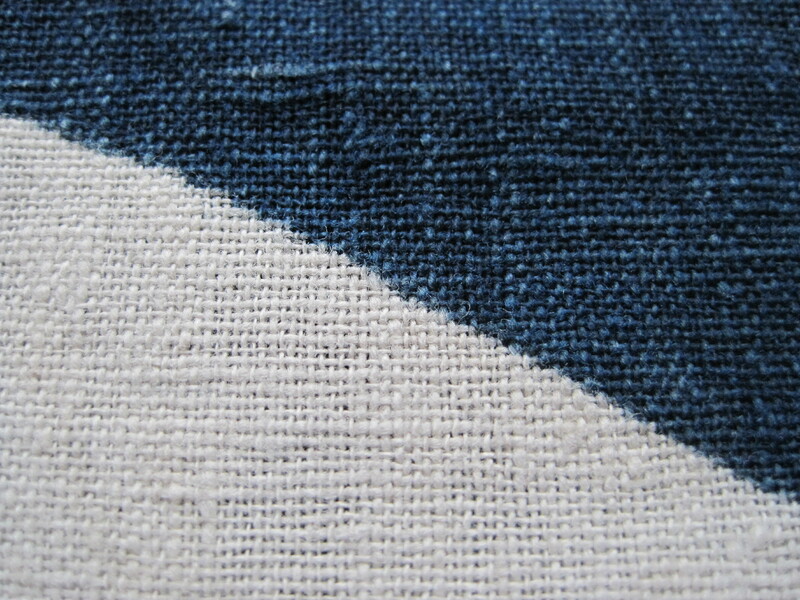 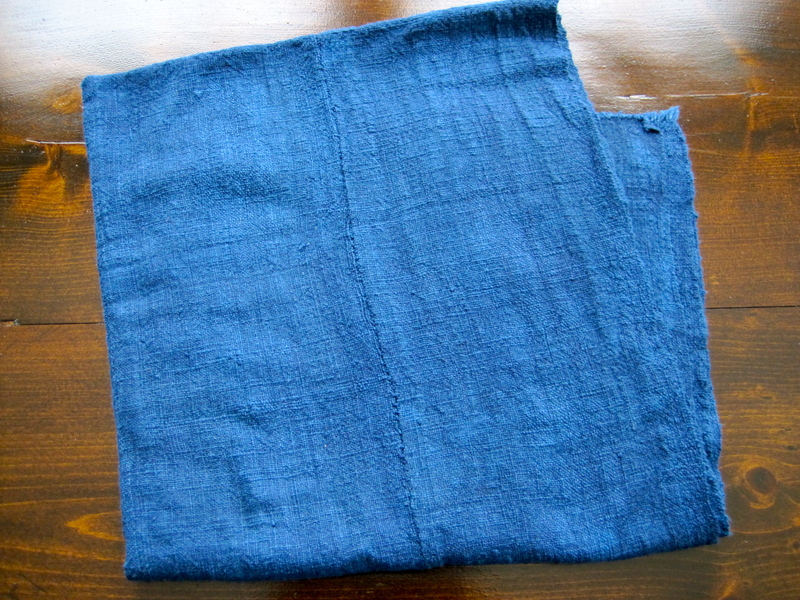 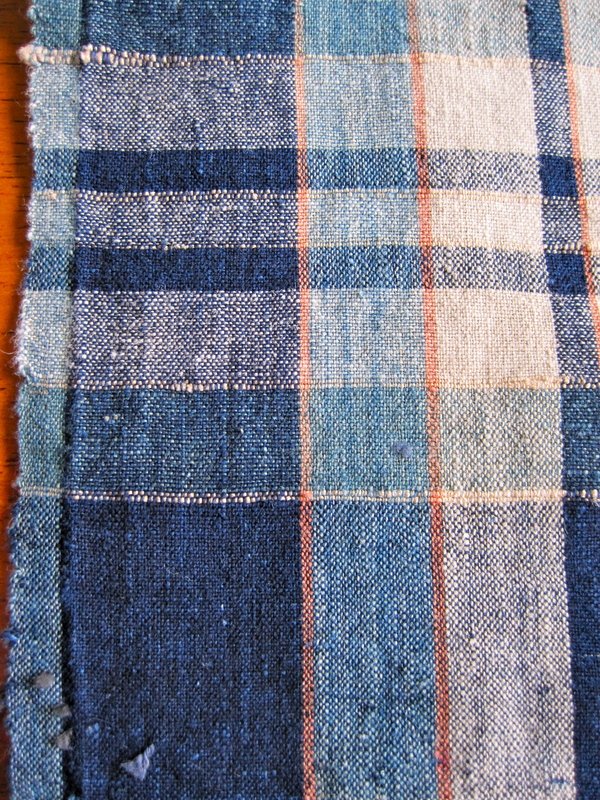 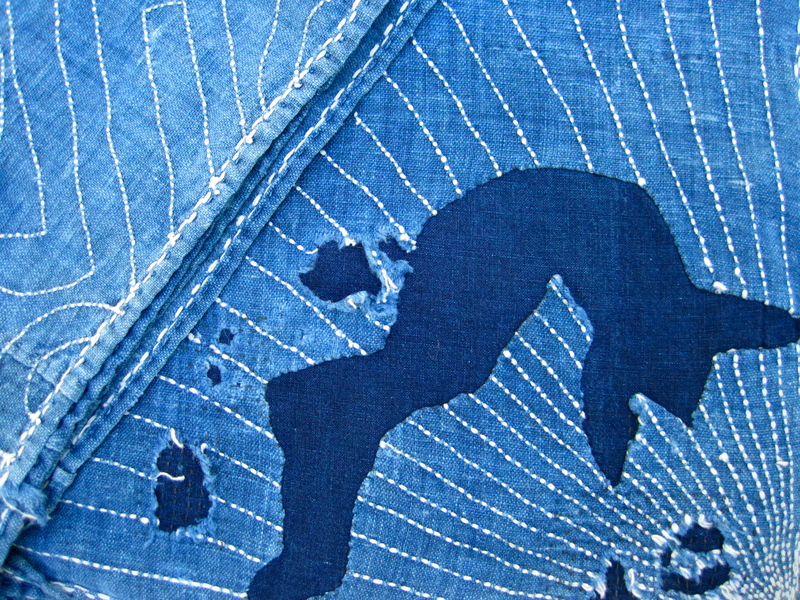 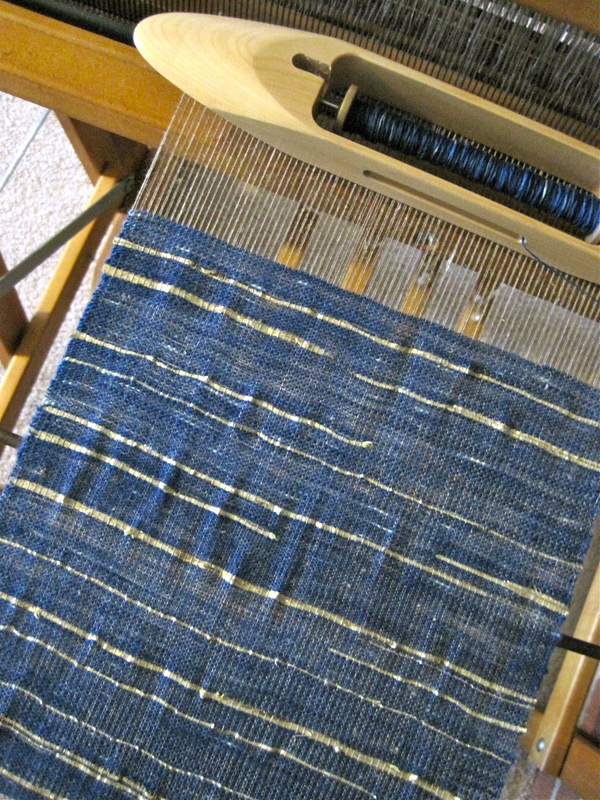 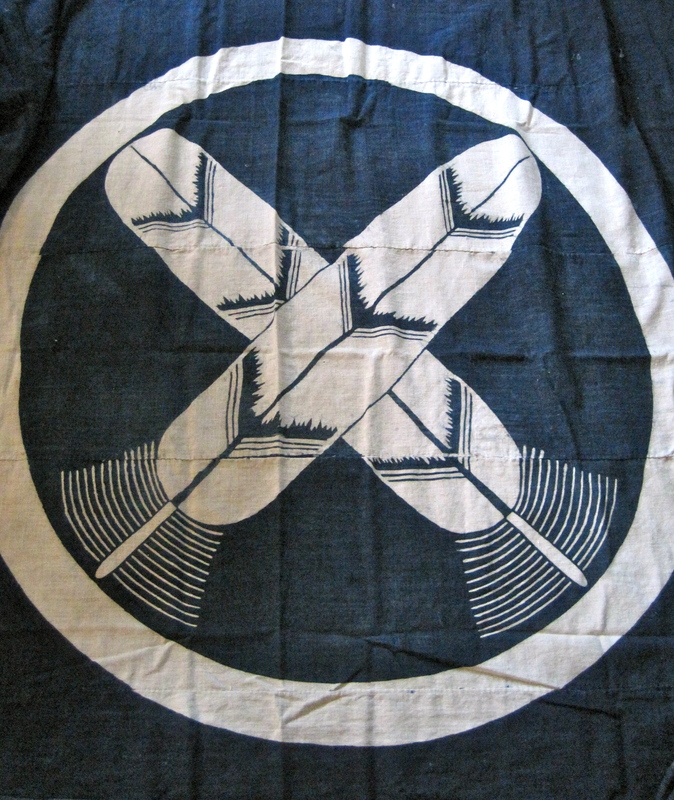 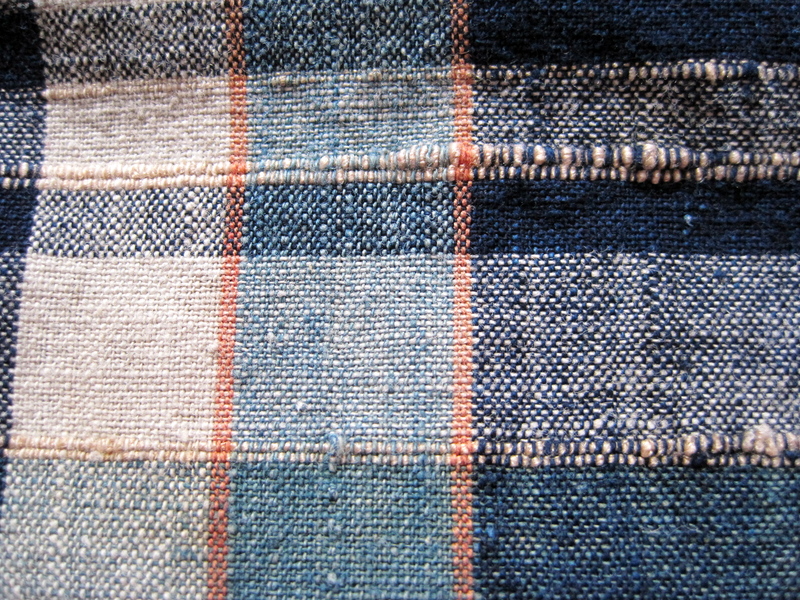 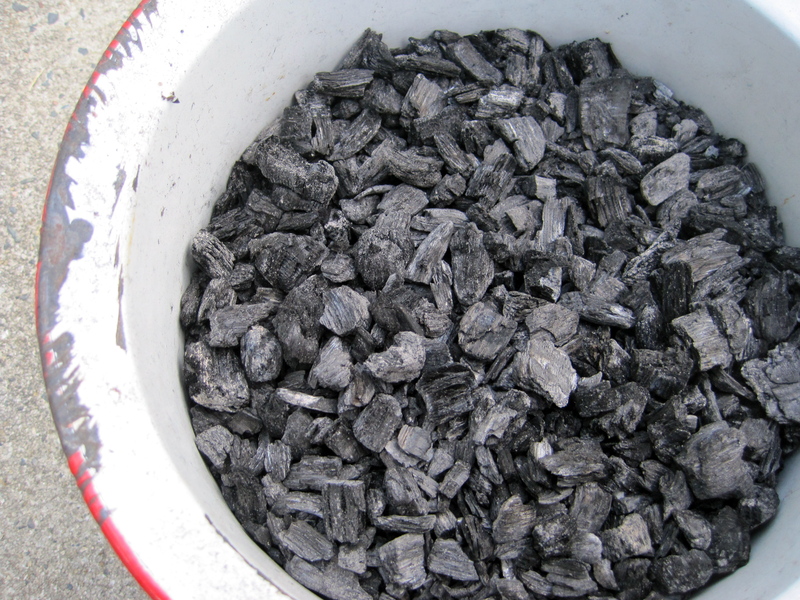 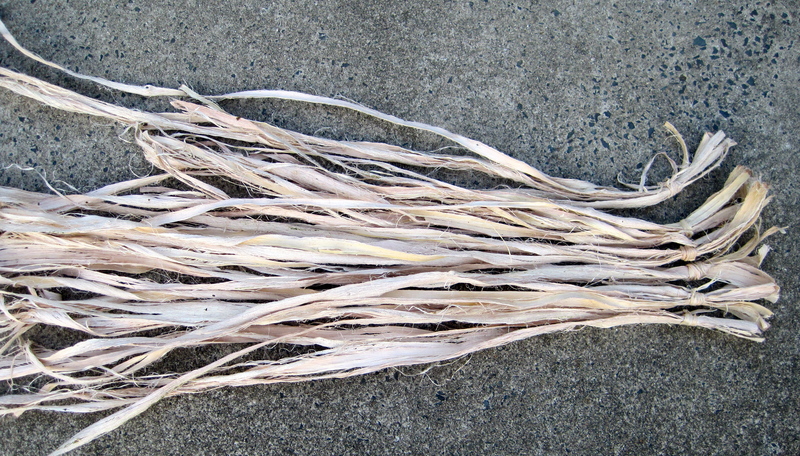 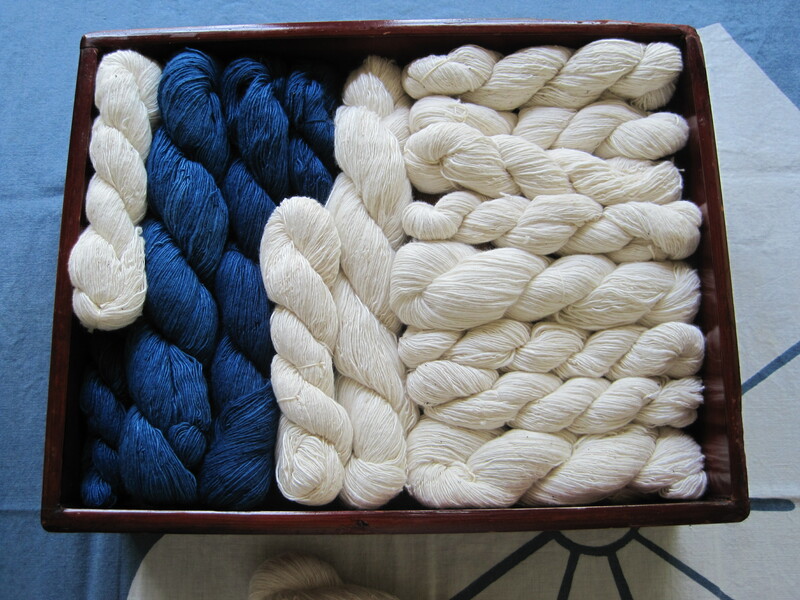 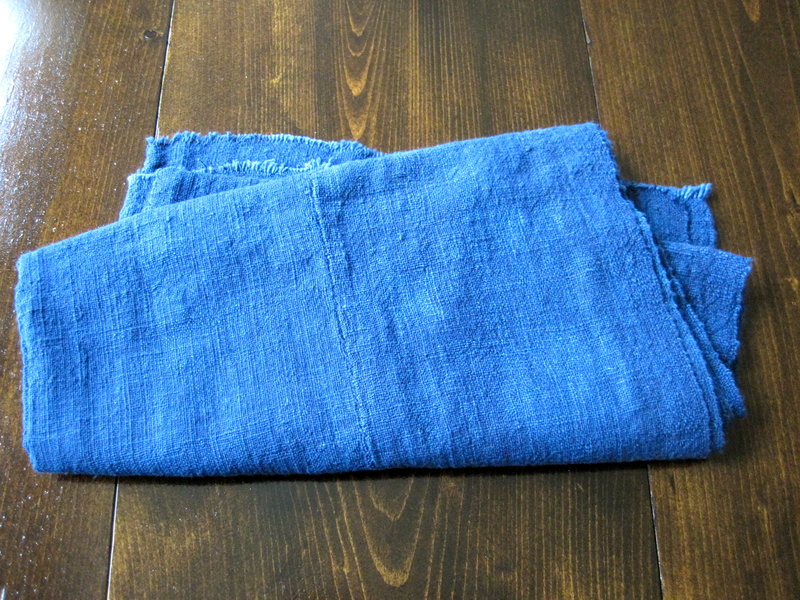 the boro material probably came from an indigo dyed tsutsugaki furoshiki or “free hand resist dyed carrying cloth”. 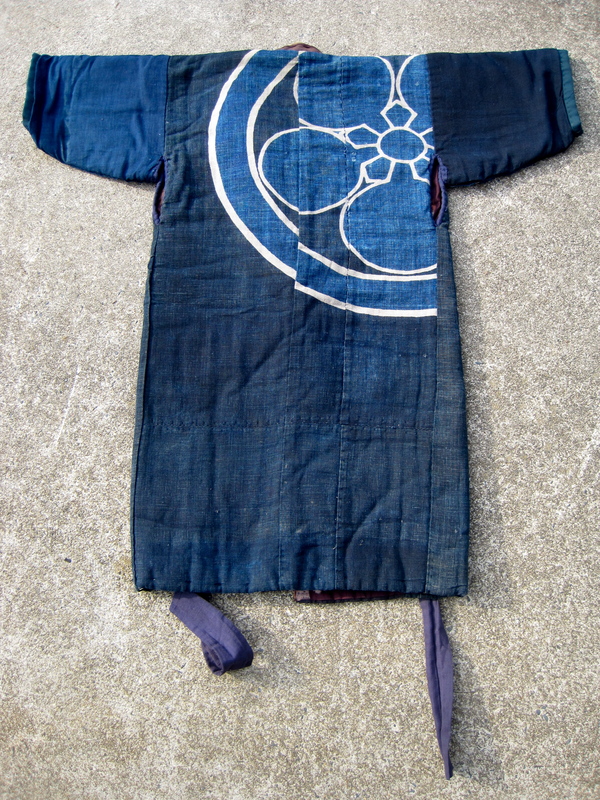 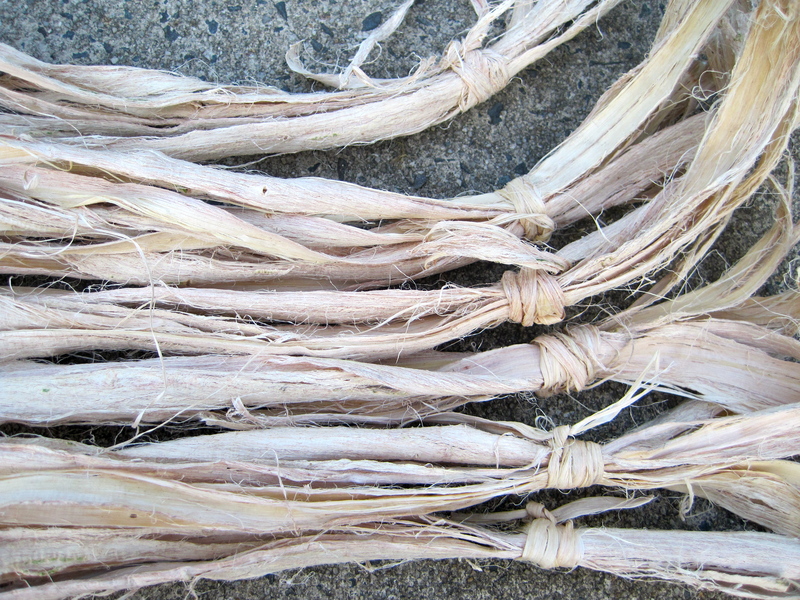 These were traditionally given in sets to a new bride and groom and were often dyed with the families mon or “crest”. 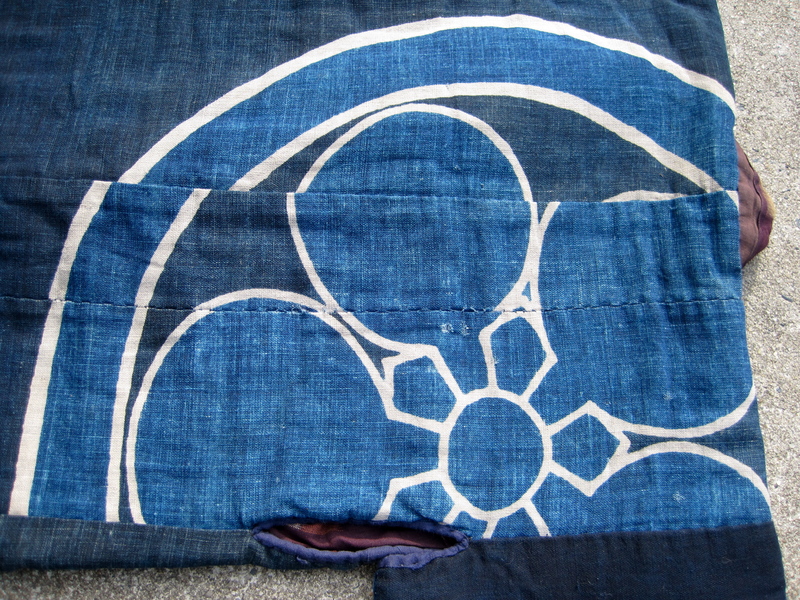 I love the idea that the newlyweds used it until it became tattered and then remade it into clothing for one of their children. 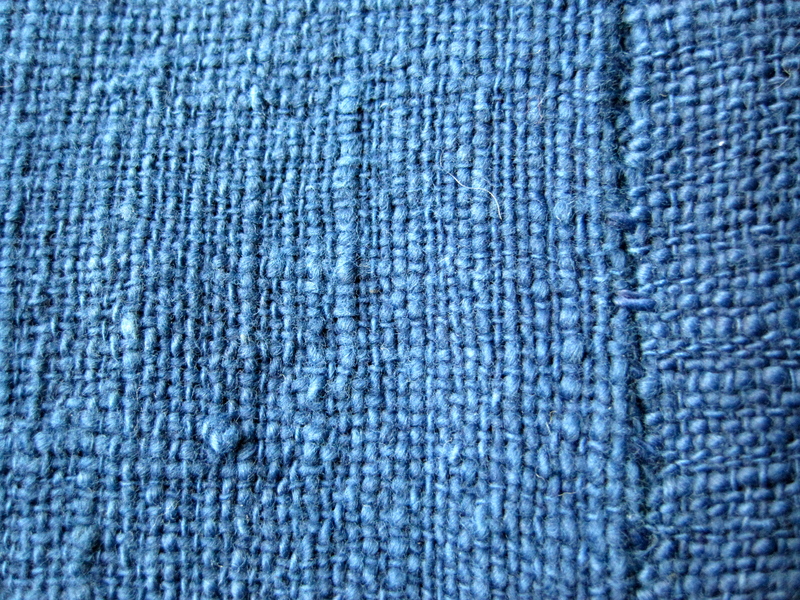 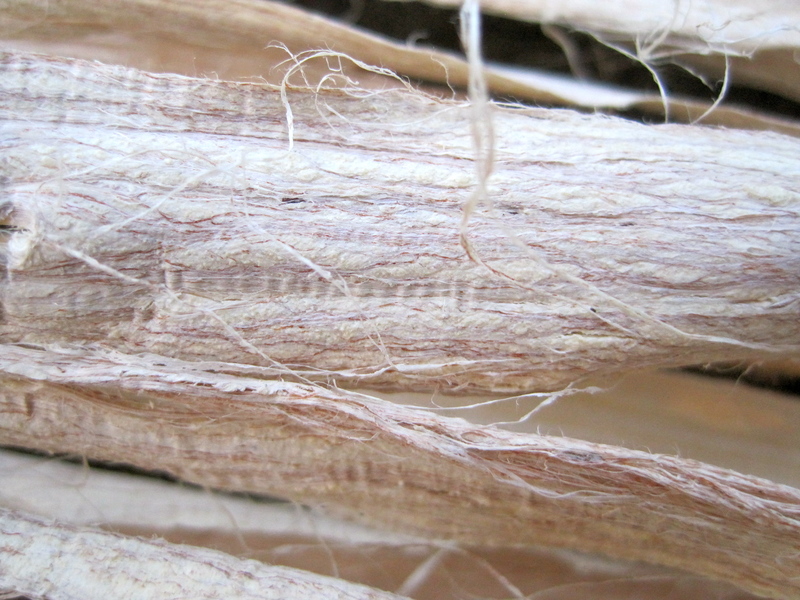 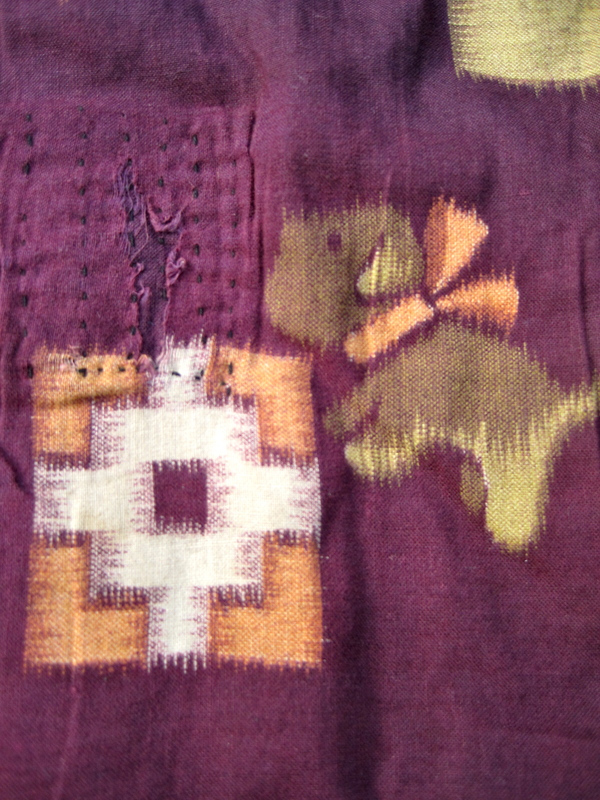 The outer fabric shown below as the liner has a design of small dogs. 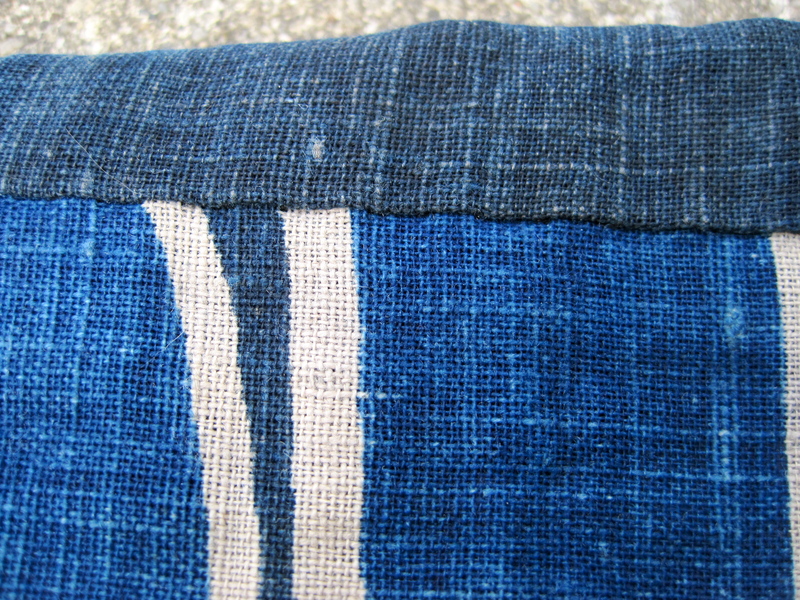 This fabric was factory made and was meant to replicate a double kasuri or “ikat” material. 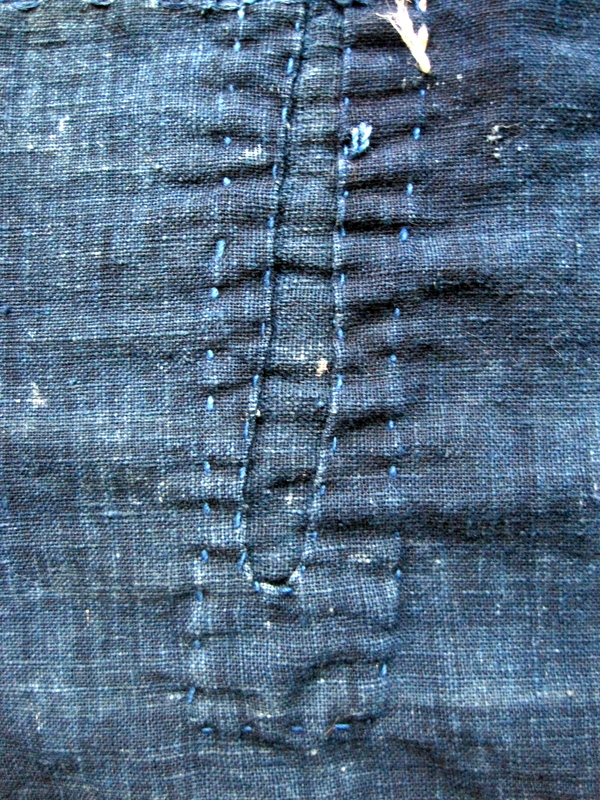 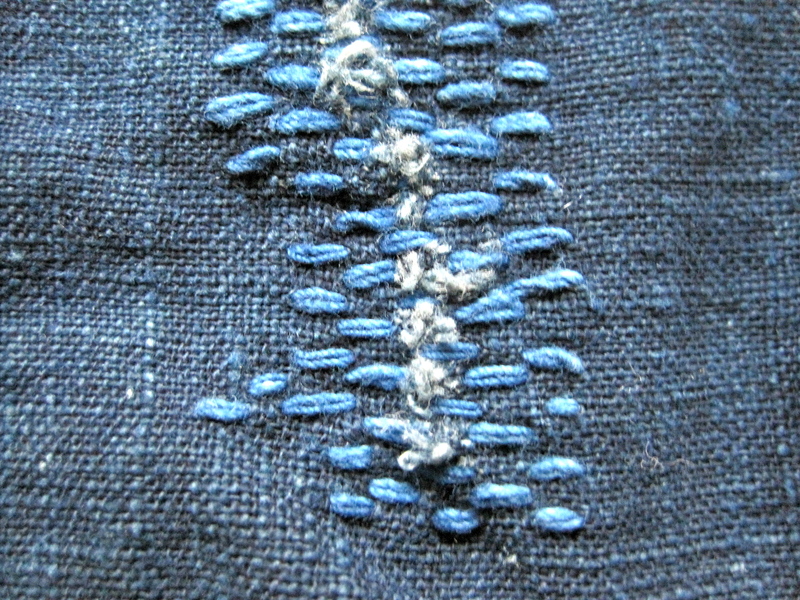 This fabric shows patches that do not make their way through to the lining material meaning that this material had been used and repaired at the time that it was made into this garment. 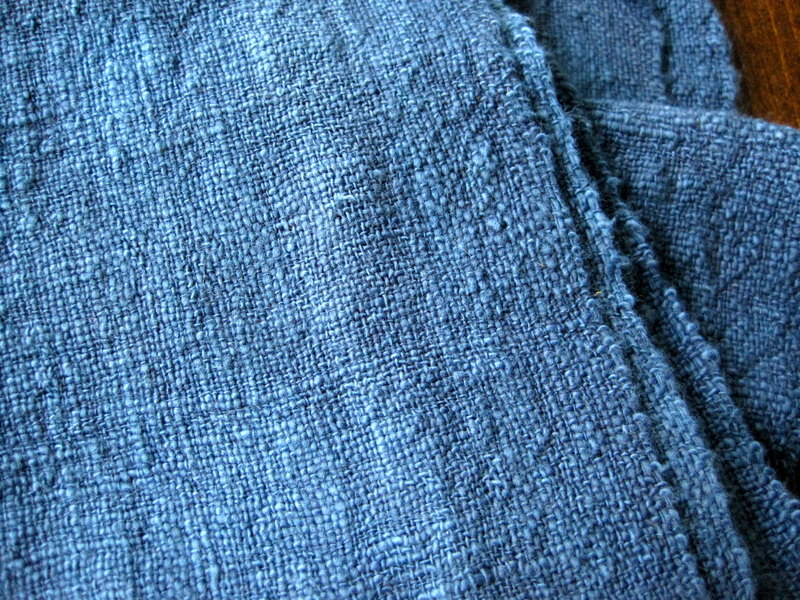 More than likely it was also a hand me down.